Welcome to OpenRoad Lending’s eDocs Center. Here you will find tools and solutions that will make completing your new auto finance faster, better and easier than ever! 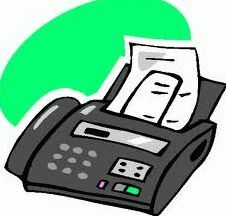 Want to skip faxing or returning your documents by mail? Ask your Loan Care Agent about scanning and returning your loan documents using your smartphone with the CamScanner App. It’s free and available for both Apple and Android phones. Want to minimize the paper and save even more time? Ask your Loan Care Agent if using OpenRoad’s eDocs option is right for you*. With OpenRoad’s eDocs solution, powered by DocuSign, you will be able to electronically sign and return your loan documents without the paper mess. Click here to learn more about OpenRoad Lending’s eDocs Solution. If you prefer a more traditional means of completing and returning your loan documents, such as faxing or emailing, then don’t worry. Those options are also available and our expert Loan Care Agents are ready and would be delighted to help you each and every step of the way. Please feel free to contact us today at 888-536-3024 or chat with us online if you have any questions or need any assistance. At OpenRoad, we are on a mission to create and provide the best auto finance experience on the market! Apply now and let us help get you On-The-Road with OpenRoad today.